Carl Stumpf (German: [ʃtʊmpf]; 21 April 1848 – 25 December 1936) was a German philosopher and psychologist. He studied with Franz Brentano at the University of Würzburg before receiving his doctorate at the University of Göttingen in 1868. He also tutored the modernist literature writer Robert Musil at the University of Berlin, and worked with Hermann Lotze, who is famous for his work in perception, at Göttingen. Stumpf is known for his work on the psychology of tones. He had an important influence on his students Wolfgang Köhler and Kurt Koffka who were instrumental in the founding of Gestalt psychology as well as Kurt Lewin, who was also a part of the Gestalt group and was key in the establishment of experimental social psychology in America. Stumpf is considered one of the pioneers of comparative musicology and ethnomusicology, as documented in his study of the origins of human musical cognition The Origins of Music (1911). He held positions in the philosophy departments at the Universities of Göttingen, Würzburg, Prague, Munich and Halle, before obtaining a professorship at the University of Berlin. Carl Stumpf was born in Wiesentheid, Franconia, in the Kingdom of Bavaria. His father was the country court physician, and his immediate family included scientists and academicians, like his grandfather, who studied eighteenth century French literature and the philosophers Kant and Schelling. Stumpf showed precocious musical talent as a child, learning the violin by the age of 7. By age 10, he had learned five other instruments and written his first musical composition. Stumpf attended the local Gymnasium, where he developed a passion for philosophy, especially the works of Plato, before enrolling at the University of Würzburg at the age of 17. He spent one semester studying aesthetics and one studying law. Then, in his third semester, he met Franz Brentano, who taught Stumpf to think logically and empirically. Brentano also encouraged Stumpf to take courses on the natural sciences because he considered both the substance and methods of science important to philosophy. After two semesters of studying with Brentano, he transferred to the University of Göttingen to study under Hermann Lotze, a German perceptual theorist. He was awarded a doctorate by Lotze in 1868. Soon after, Stumpf was granted a position as an instructor at the University of Göttingen in the Department of Philosophy. There Stumpf met Ernst Weber and Gustav Fechner, and served as an observer in their psychological experiments. Their careful approach to a problem of aesthetics, specifically the visual appeal of rectangles of different proportions, appealed to Stumpf and reinforced the notion learned from Brentano that psychological acts or functions can be studied empirically. In 1873, Stumpf returned to the University of Würzburg as a professor in the Department of Philosophy. Although he was forced to teach all of the philosophy and psychology courses due to Brentano's forced departure from the university, Stumpf completed his first major psychological work, an examination of visual perception, particularly depth perception. He proposed a nativist explanation for depth perception, and his book has been cited as an outstanding early contribution to the debate between the nativist and empiricist views of perception. In 1894, Stumpf was appointed to the chair of philosophy at the University of Berlin. At Berlin, he also held an adjunct appointment as director of the Institute of Experimental Psychology at Berlin. The Institute originally occupied three dark rooms, but by 1920, had moved to twenty-five rooms in the former Imperial Palace. 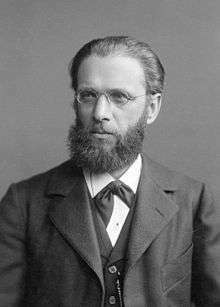 In 1896, Stumpf presided over the Third International Congress of Psychology, and delivered the inaugural address on the relation between mind and body; he advocated an interactionalist position that opposed the popular notion of psychophysical parallelism. Finally, from 1907 to 1908, Stump served as the rector of the University of Berlin. Stumpf began his Tonpsychologie (Tone Psychology) in 1875, a work considered to be his greatest contribution to psychology. He distinguished between phenomena and mental functions, suggesting that phenomena such as tones, colors, and images are either sensory or imaginary. Stumpf termed the study of such phenomena as phenomenology. He did a wide range of studies of the phenomenological characteristics of the sounds of different instruments, the determinants of melody, tonal fusion, and the consonance and dissonance of tones. This research was made possible by the excellent collection of acoustic devices at the Institute of Physics. In 1903 and 1904, Stumpf was involved in two well-publicized debunking episodes related to sensational phenomena. First, an engineer from Prague claimed to have invented a machine that could change photographs of sound waves into sound. Stumpf, after attending a demonstration, wrote an article challenging its legitimacy, causing it to never be heard about again. However, the case of Clever Hans, an apparently brilliant horse owned by Wilhelm von Osten, was even more sensational. The majority of Stumpf's later work did not include sensational or interesting research, like that of Clever Hans. With the outbreak of World War I, many students left the Institute of Experimental Psychology to fight in the war. Furthermore, the war between Germany and the allied nations disrupted many professional relationships he had with other psychologists. Stumpf retired from the University of Berlin in 1921 and was succeeded as director of the psychological institute by his former student, Wolfgang Köhler. Stumpf, C.: 'The Origins of Music', ed. and trans. David Trippett. Oxford University Press, 2012. ↑ C. Stumpf, "Erscheinungen und psychische Funktionen", Abhandlungen der Berliner Akademie, 1907, p. 29; C. Stumpf's contribution to Philosophie der Gegenwart in Selbstdarstellungen, Vol. 5, 1924, as trans. in C. Murchison, ed. History of Psychology in Autobiography, Vol. I, pp. 389–441, esp. p. 421; Barry Smith, "An Essay in Formal Ontology", Grazer Philosophische Studien, 6 (1978), pp. 39–62. ↑ Liliana Albertazzi, Immanent Realism: An Introduction to Brentano, Springer, 2006, p. 321. ↑ Philosophy from an Empirical Standpoint: Essays on Carl Stumpf, BRILL, 2015, p. 153. 1 2 3 4 5 6 History of Psychology, Fourth Edition, McGraw-Hill Co., 2004. 1 2 3 Autobiography of Carl Stumpf. Sprung, H.: Carl Stumpf – Eine Biografie. Von der Philosophie zur Experimentellen Psychologie. Munich/Vienna: Profil, 2006. Benjamin, Ludy T., 2007. A brief history of modern psychology. Malden, MA: Blackwell Publishing. Autobiography from History of Psychology in Autobiography Vol. 1 (1930), pp. 389-441, at York University "Classics in the History of Psychology"